UP Board 12th Result 2019– UP Board, India’s largest board, will declare the result of UP Board Intermediate 2019 Exam in the last week of April 2019. . The UP board examinations is scheduled to be conducted from 07 February and to be concluded on 2 March 2019. 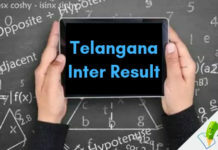 The board will declare the UP Board Inter result 2019 on its official website. Students will need their roll number in order to check the result, hence, it is suggested to keep your board admit card handy. The UP Class 12th result will consist of subject-wise scores and overall percentage. Candidates have to download their result and keep it safe till the release of official mark sheet. We will also host the UP Board 12th Result 2019 on this page, after its official declaration. In 2018, the board has announced the result of UP Board Intermediate 2018 Examination on 29 April 2018 and the examinations were conducted from 06 February to 12 March 2018. Uttar Pradesh Board Class 12th Exam conducted in the month of February -March 2019. As per the previous year’s details, the copy checking process will be concluded in April 2019. 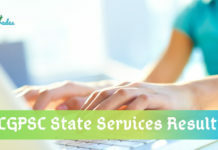 How to check UP Board 12th Results 2019 Online? The result of UP Board 12th Exam 2019 will be announced online and below we have mentioned step-wise process to check the UP Board 12th Result 2019. Skipping any step may lead to wrong information hence, carefully follow the steps. Now, enter your seven-digit Class 12th Board Exam’s Roll Number in the given field. Recheck the roll number before clicking the Submit tab. Click on “Submit” tab to get the result. Candidates are advised to take the print copy of the UP Board 12 Result 2019 and save it till the issuance of the original marksheet. To ease the nervousness and confusion of the students, we have mentioned a few previous year’s stats so that they have a better clarity about the UP Board result declaration date and process to check the result. Board of High School and Intermediate Education Uttar Pradesh, commonly known as UP Board, was officially established in 1921. The board’s main headquarter is located at Allahabad. The aim of the board is to render the affiliation to the good schools in Uttar Pradesh. The board is also responsible for setting up the syllabus and study material of schools. Alongside, it conducts the Class 10th and 12th Board Examination, every year, and provides the certificate to the deserving candidates. At the present time, there are many private and government schools are affiliated under this board. Stay Connected With StudyGrades for Latest Board Result News..! !